The KRE Group, a full-service real estate investment and management company with more than five decades of experience, and Mark Built Homes, a family-owned firm that has been building homes in New Jersey for three generations, announced today that they have jointly acquired a five–acre property in downtown Madison, NJ. A total of 135 residences are planned for the site on Green Village Road, just two blocks from the Madison Train Station. KRE will construct 100 luxury rental residences on the property and Mark Built Homes will construct 35 luxury condominiums. Construction is slated to begin in the first quarter of 2016, with an anticipated completion date in the second quarter of 2017. Madison is a borough in Morris County known for its tree-lined suburban streets and the distinct Norman Rockwell quality of its downtown. It is home to two private universities and several corporate campuses. Route 287 and 24 are both easily accessible from the community, and downtown Morristown is less than four miles away. The acquisition was a strategic decision by both KRE and Mark Built Homes to pursue a transit-oriented development opportunity. For Mark Built Homes, it is a formula for success the company has already executed in Summit, Morris Township and other nearby communities. The Union-based developer is one of the most decorated, well-respected home builders in the state, having captured the New Jersey Builders Association’s coveted “Community of the Year” award an astonishing three years in a row. The company has deep roots in New Jersey’s suburban real estate market and a firm commitment to creating homes that are creatively distinct, architecturally significant and unsurpassed in resident satisfaction. KRE, based in Bridgewater, has been one of the most active transit-oriented developers in the state in recent years, particularly in Jersey City, where it has developed and leased such prominent residential properties as 18 Park, 225 Grand and Grove Pointe. 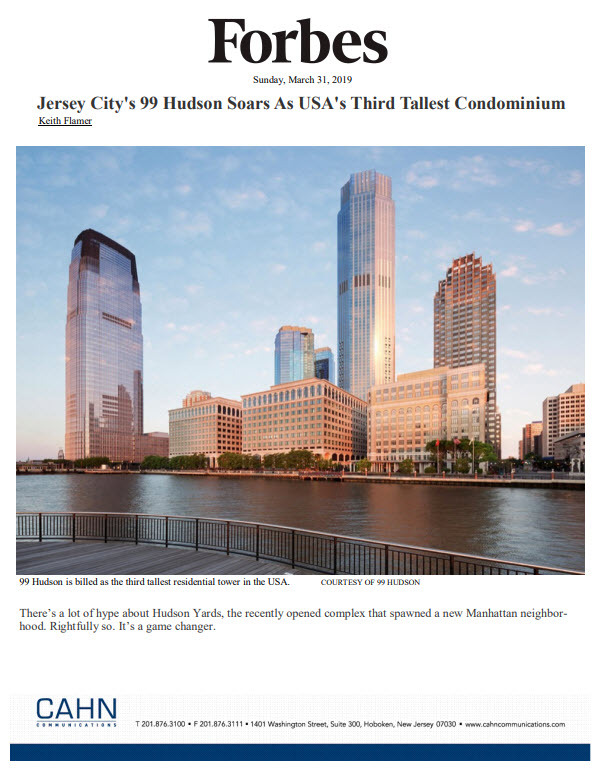 It is currently developing “Journal Squared”, a collection of three residential towers in Jersey City’s historic Journal Square neighborhood that will ultimately comprise 1,838 rental residences and 36,000 square feet of commercial space. Other prominent projects in development include Madison Farms, a 100-acre mixed-use property in Bethlehem Township, PA that is slated for 837 luxury residences and 140,000 square feet of retail space; and Hudson Lights, a 1,000,000 square-foot mixed-use project in Fort Lee, NJ.